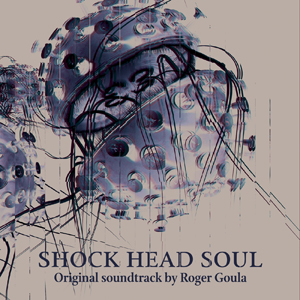 Featuring a strikingly original score by Roger Goula, Shock Head Soul is an acclaimed cross-media documentary directed by BAFTA-winning filmmaker Simon Pummell, who already showed great musical taste when he hired Jonny Greenwood of Radiohead to score his 2003 feature Bodysong. The film explores the writings of Daniel Paul Schreber, a lawyer who claimed that he received messages from God via a ‘writing down machine’. 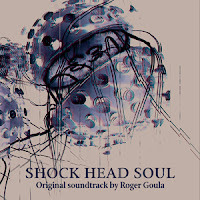 Goula’s superb score was performed by the Raven quartet and is both an avant-garde piece of work as well as a soundtrack that follows the narrative of the film. Pieces relate to such idioms as a-atonalism and French avant-garde minimalism as well as late romanticism. Instrumental colors in addition to the string quartet include the early electronic instrument, the ondes martenot, and piano. 5/5 Kind of freaky... though very cool, so for me it was freaky cool. The cover art is amazing... it pulled me in... you need to hear it!! Very unique story! And yeah, the cover art is cool.